In Auglaize County near Lake Loramie comes the village of Minster, Ohio. Minster holds a distinct German history dating back to its founding in 1832. Originally named Stallostown after founder Francis Stallo, it was later dubbed Minster after a community in Germany. Currently, around 2,800 people call Minster home. The village of Minster is a storybook rural community. As you walk down the street, you'll pass by cozy family restaurants such as Cottage Cafe and Wooden Shoe Inn. If you visit Minster in October, however, you'll be elbowing your way through crowds. Minster plays host to a massive Oktoberfest festival, attended by about 80,000 people. If you need auto repairs in Minster, trust the professionals at nearby Chickasaw Garage. Since 1933, our family-owned and operated repair shop has proudly served our Minster neighbors with quality auto repairs and service. We treat our customers as family and enjoy building lasting relationships. 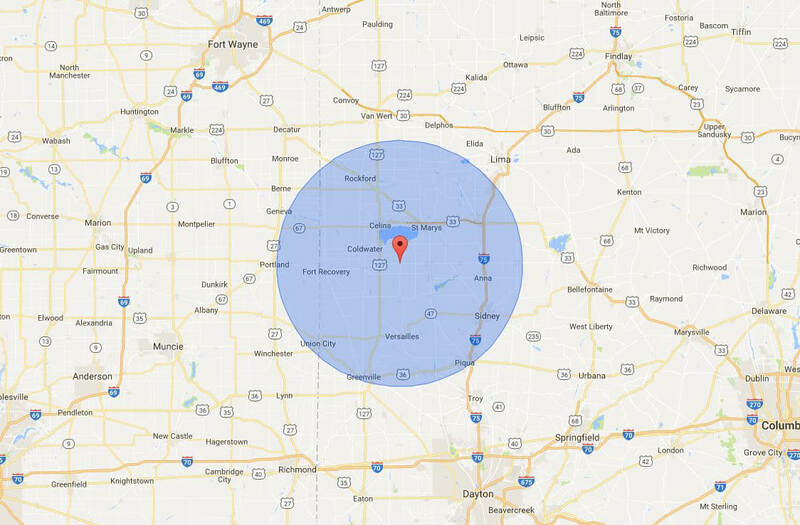 You will find Chickasaw Garage conveniently located just nine miles northwest of Minster, in Chickasaw.